This Hyderabad-based agri-tech firm tests sample foodgrain in 60 seconds or less. Yogesh Gupta, Tanmay Sethi, Mohit Dadhich, Arvind Sharma and Harshit Sankhla. 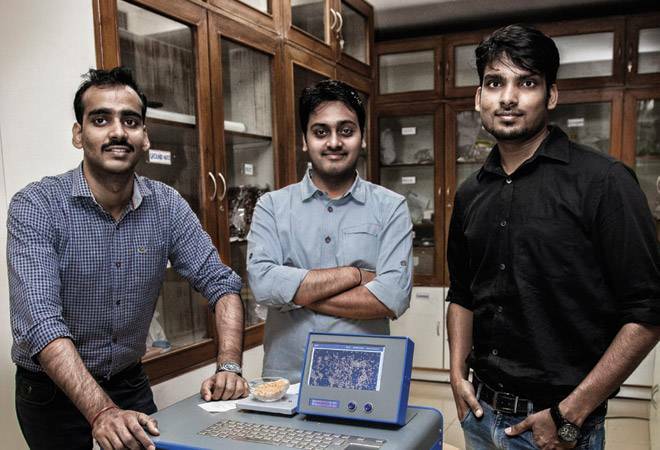 When they were at IIT-Jodhpur, all five were keen to set up a B2B marketplace for farmers but soon realised that the key challenge would be ascertaining the quality of the produts on sale. After six months of R&D, they came out with MATT, an AI-powered automatic grain analyser that was conceptualised and developed at the IIT. Nebulaa was also part of Google's Solve For India programme that mentors budding Indian start-ups working on challenges at grass-roots level. MATT combines image processing with deep learning to assess sample quality and deliver results as per AGMARK, BIS, CODEX or other standards. The algorithms have been developed in-house and guarantee near-100 per cent accuracy. As of now, it can test up to 15 types of foodgrains and takes around 60 seconds to analyse a sample compared to 30 minutes or so required by standard labs. The founders also claim that the system can provide an overall quality assessment of the entire produce based on a sample test. Besides English, reports are also available in four major Indian languages so that farmers can easily access the information and act accordingly. The company procures hardware components from Pune-based vendors and assembles those at its Hyderabad facility that has a monthly production capacity of 50 MATT units. Grain analysers are sold to large FMCGs, seed companies and mandis, and price depends on the variety of samples a unit can test. Additionally, the company has a licensing fee in place for basic customisation, updations to incorporate new testing capabilities and round-the-clock customer support. So far, the start-up has sold 10 MATT units and piloted the product with six state governments and seven FMCG and seed companies. It is also exploring a service model wherein product analysis will be done at farmers' sites for a nominal fee. Nebulaa aims to explore the panchayats in a bid to reach out to farmers, both big and small. The founders will also enable IoT in their devices so that these can interact and collect crucial product data across regions. This will help governments and big companies, including institutional buyers and exporters, which want to procure good quality products in large amounts. However, lack of infrastructure in rural areas often hinders this plan.